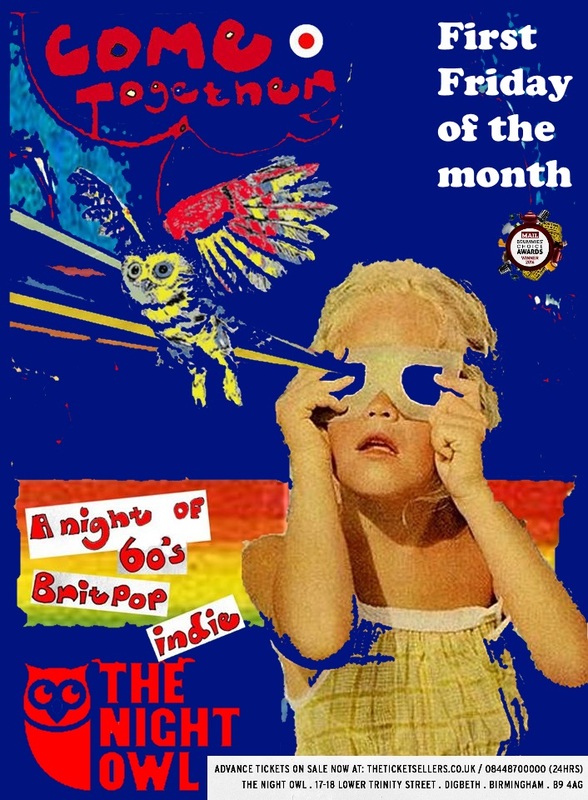 Due to popular demand the first Friday of every month wil be Come Together a night of 60s, indie & britpop. Expect to hear everything from bands like The Rolling Stones, Beatles, Kinks, The Who, Small Faces, to soul singers like Otis Redding, Aretha Franklin, Curtis Mayfield, to Britpop legends such as Blur, Oasis, Pulp, Suede, Elastica to indie classics such as The Cure, The Libertines and much more! Basically a night of some of the best retro guitar based music ever! Until 3am or later if it's still jumping!